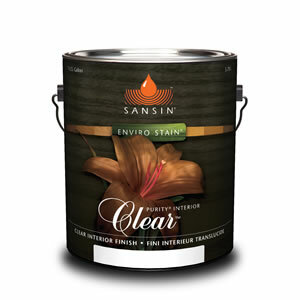 An all-purpose two-coat, high-solids finish that enhances the natural tone and character of your wood. 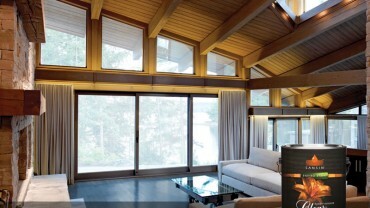 Perfect for light-colored woods – like pine and cedar – where a warm, mellow tone is desirable. Purity Clear is UV resistant, washable, environmentally friendly, low in VOC’s, high in solids and non-flammable with easy soap and water clean-up. Available in low lustre, satin and gloss formulations. 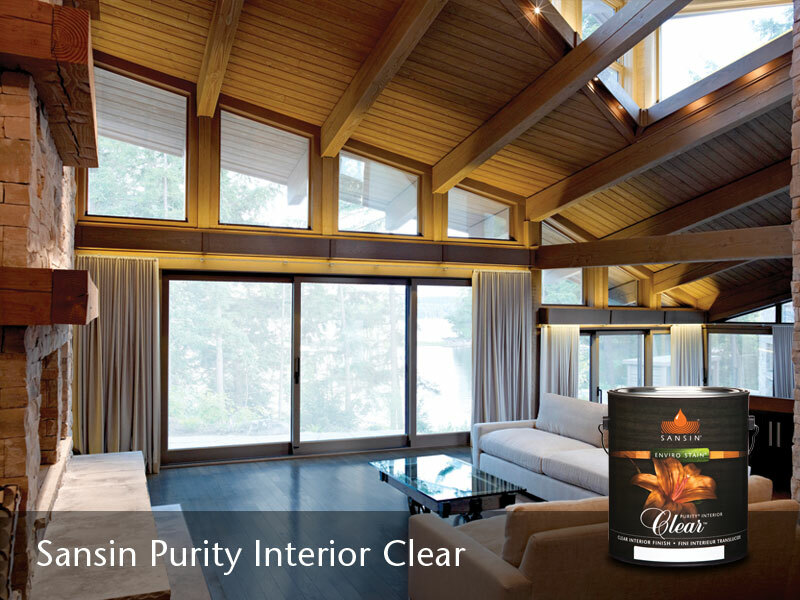 Purity Clear is ideal for wood windows, ceilings, walls, furniture and other fine wood surfaces. For optimum UV protection or if a special color or toning is desired, use a pigmented version of Sansin Purity Interior Stain as the first application. View the Sansin Purity Clear Product Data Sheet (PDF) for information about application, preparation, maintenance, and more. View the Sansin Purity Clear Safety Data Sheet (PDF).